For your convenience we have answered the most common questions our customers have asked right here. If your question is not answered here please visit our Contact Us page. Yes, we take both paypal and most major credit cards. Is my information secure with your website? Yes! Your payment and personal information is safe with our Secure SSL certificate that is up to date and sercurely in place on our site for your protection offering you secure checkout. Your information is secure while you are shopping on line with us. Yes, we will accept a check, however, it needs to clear the bank before your order is shipped. We appreciate your business and we respect your privacy. All of your personal information collected on this site will be kept strictly confidential and will not be sold or discolsed for any reason. The information we collect is used first to complete your order and satisfy your request for products, and also to help notify customers about updates or notices. If at any time you are recieving notices and do not wish to be contacted, simply unsubscribe. 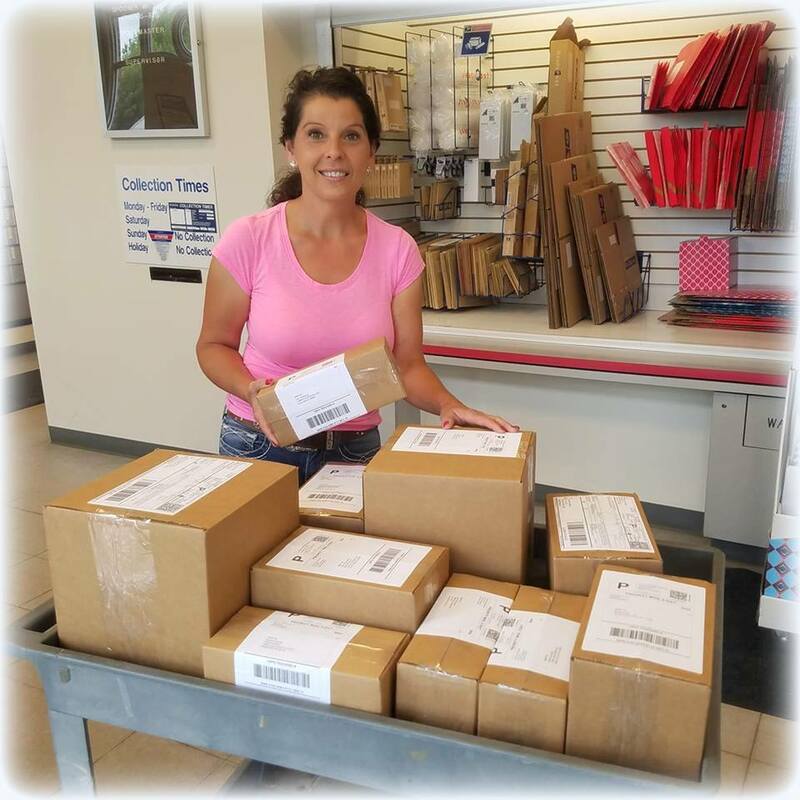 We use the United States Postal Service and shipping rates will depend on your location and product weight. Rates can be variable and are subject to change. We do our best to offer you the best rates possible. Can I pick my products up at your ranch? Yes! If you are local and want to pick up your products here at our ranch, just give us a call and we can make arrangements. When does my product ship? Delivery is typically 3-10 business days. My package has not arrived in the expected time, what can I do? Please check your tracking number with USPS first (www.USPS.com ), if your tracking says your package has been delivered and you cannot find it anywhere around your home or barn, please contact your local post office and they can check the status of your package. Still cant' find it? Check to be sure you entered the correct mailing address when you placed your order. Ranch Life Naturals is not responsible for your package if you entered the incorrect addresss. If your package is completely missing in action, contact us and we will do our best to help you. I recieved my package and my order is incorrect. What can I do? First, please check your order information to be sure that you ordered exactly what you want. We are not responsible if you accidently ordered hand creme and you wanted shampoo. If you ordered exactly what you want and recieved a different product, please contact me at sue@ranchlifenaturals.com. We take care in hand packing every order, however, human error can occur and we will do our best to fix it. I recieved my package and the products are damaged during delivery. What can I do? Do you recycle packing materials? Yes! We often use newspaper, or reuse packing materials. Are your product all made in the USA? Yes and No. Our product line of Ranch Life Naturals for skin and hair is all hand made in small batches in the USA. Our wooden grooming brushes are hand made in Sweden and Italy and they are crafted by adult artisans and the materials are responsibly sourced. Are your products tested on animals and cruelty free? Yes, our products are cruelty free and no animals are ever harmed in testing. When developing our products, we do try them on ourselves, our horses and our dogs for several months and then we offer family and friends the opportunity to try our products and share their results. Are your products "All Natural" or "Organic"? Yes, our product are natural and derived from natural and organic ingredients, botanicals, extracts and essential oils. Our products are eco friendly and do not include harmful or toxic ingredients, such as silicones, parabens and other toxins found in many of todays products. I don't understand some of the ingredients listed on the labels. What is Phenoxyethanol for instance? For a complete ingredient list, please visit our Ingredient Dictionary to help you learn more about the naturally derived ingredients we use for our products. Phenoxyethanol is a common cosmetic preservative that occurs naturally in green tea and can be derived from flower extracts. It is considered one of the less irritating preservatives to use in formulations. It is an organic chemical compound , a glycol ether often used in skin care products. It is a colorless oily liquid and is mildly soluble in water. The product I want is "temporarily out of stock". When will it be available? The merchandise from our custom product line is handmade in small batches with great care. We do not make semi loads of product ahead and leave it sitting on the shelf. Because it is natural, we do our best to offer fresh ingredients to deliver to you the best product possible. If a product is "temporarily out of stock" please know that we are working diligently to have the products available as soon as possible. Do you offer wholesale or can I become a vendor for your products? If you love our products so much you want to sell them, we want to hear from you! We have been offering wholesale to other stores with a low minimum order. If you are interested in carrying our product line in your store, please e-mail sue@ranchlifenaturals.com. Thank you! Can I exchange a product? We do not exchange a product for another product. We can do a return and you can make a new order if you like. Yes. We hope you and your horse or dog love our products. It is our goal to offer you the highest quality products possible, however, if you do not like our product and need to return it, we do accept returns with conditions, so please be aware of our guidelines for returns. Because we take pride in offering a safe natural product from and FDA certified facility, with ingredients we know are safe, once it leaves Ranch Life Naturals ranch, we cannot be sure what someone may have added to the product. In order to keep our promise of a natural quality product to our valued customers, we would not be able to resell returned products. We would have to dispose of any returned products, so therefore, we would refund your purchase minus a 25% restocking fee on all the skin and hair care products, and you pay the shipping to return the product to us. We do accept returns on the brushes and combs with a receipt and in resaleable unused condition. There is, however, a 15% restocking fee, and you pay the shipping back to us.